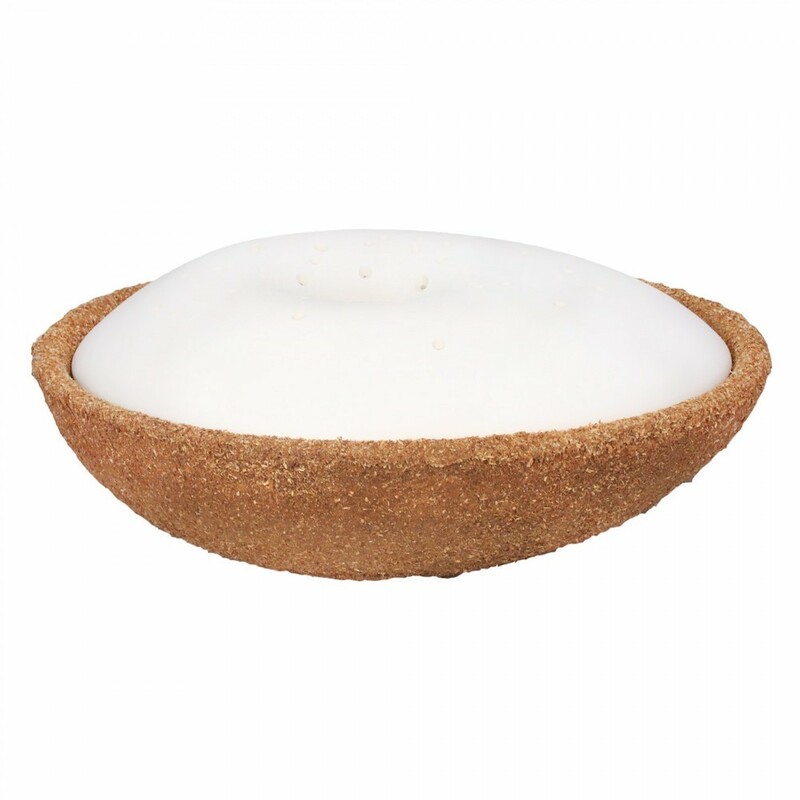 Our deepest condolences if you need to buy a biodegradable urn for the ashes of a person close to you that has died, we hope you can find some peace at this difficult time. 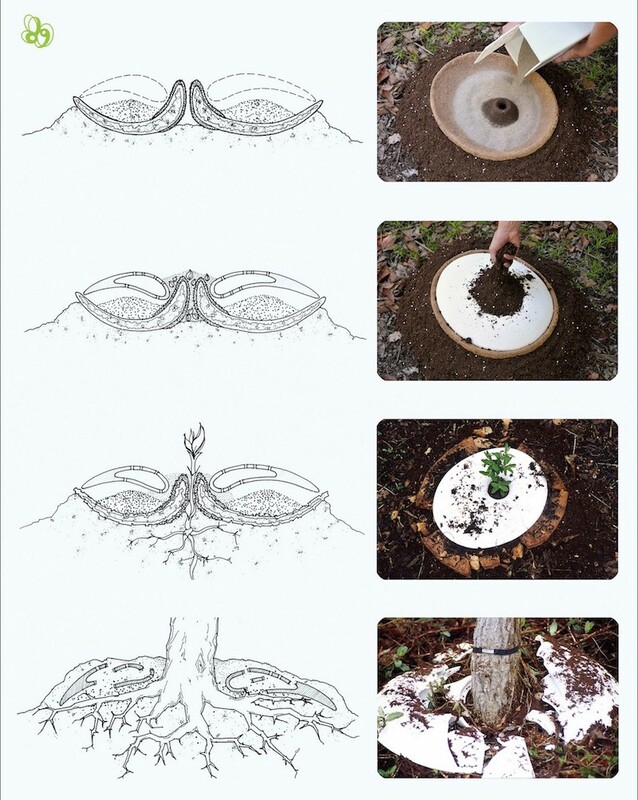 Our SPIRITREE Urn and tree saplings will provide a simple, unique and permanent living memorial for you to celebrate your relationship and return them to the earth. 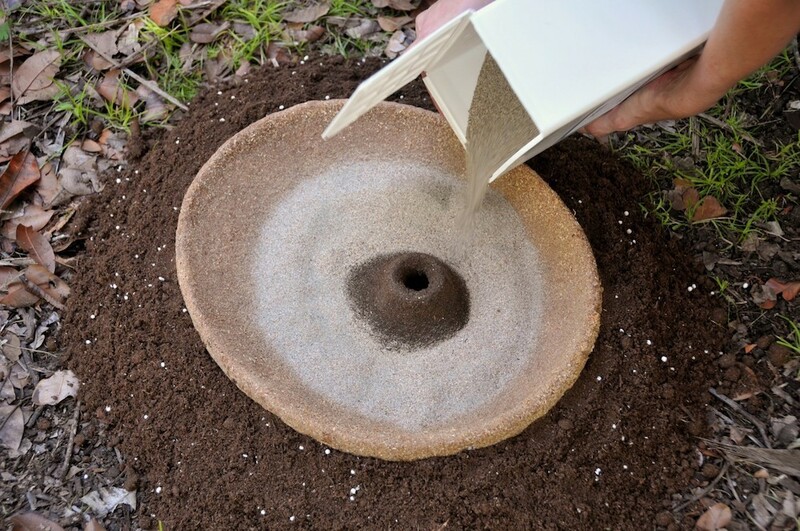 Simply add the ashes to the urn's lower biodegradable section, and pass the roots of one of our tree saplings through the hole in the ceramic top section through to the bottom container, and to the earth beneath, find a meaningful spot and plant the tree roots. Over a short period of time, the bottom urn container completely breaks down and the tree roots combine with the ashes giving you a living memorial that is literally being supported by your loved one. The Spiritree Urn is an innovative product that unlike our other memorial tree urns will leave you with a permanent tree marker in the form of a ceramic collar that will encircle your remembrance tree as it grows. 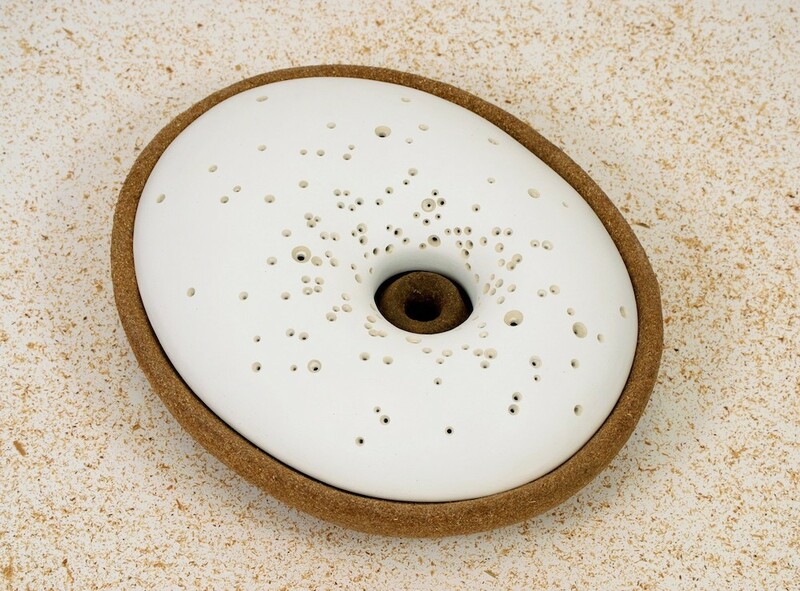 This decorative lid also prevents any dispersion of ashes and will mark the spot of your special burial place. 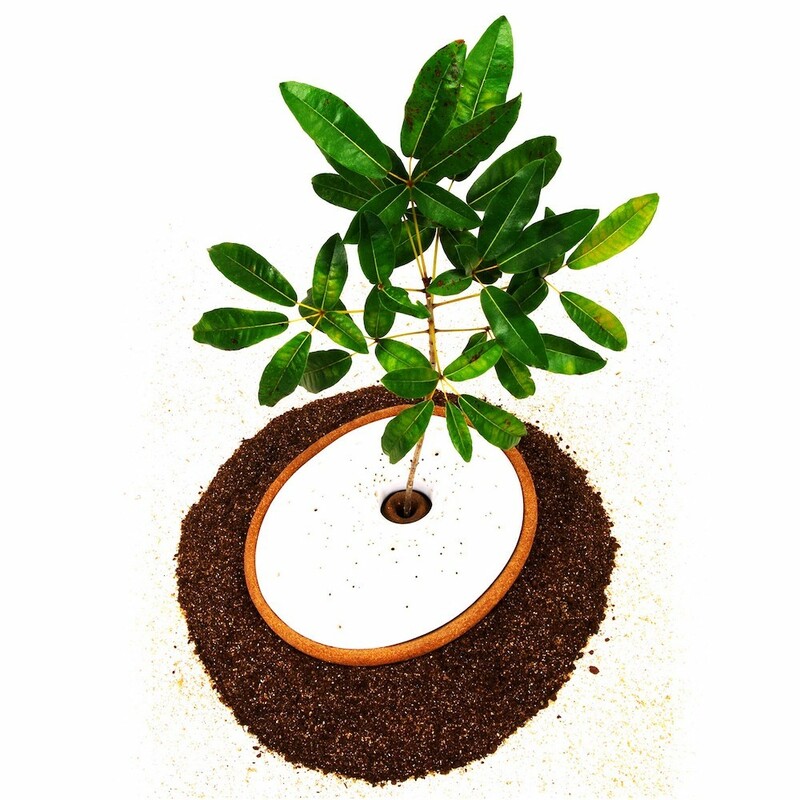 The potential issue of salts and high alkalinity found in ashes and the impact on a young tree's roots has been addressed by the designers of the Spiritree Urn and over time the ashes become closer to PH neutral and the salts become beneficial to the tree. 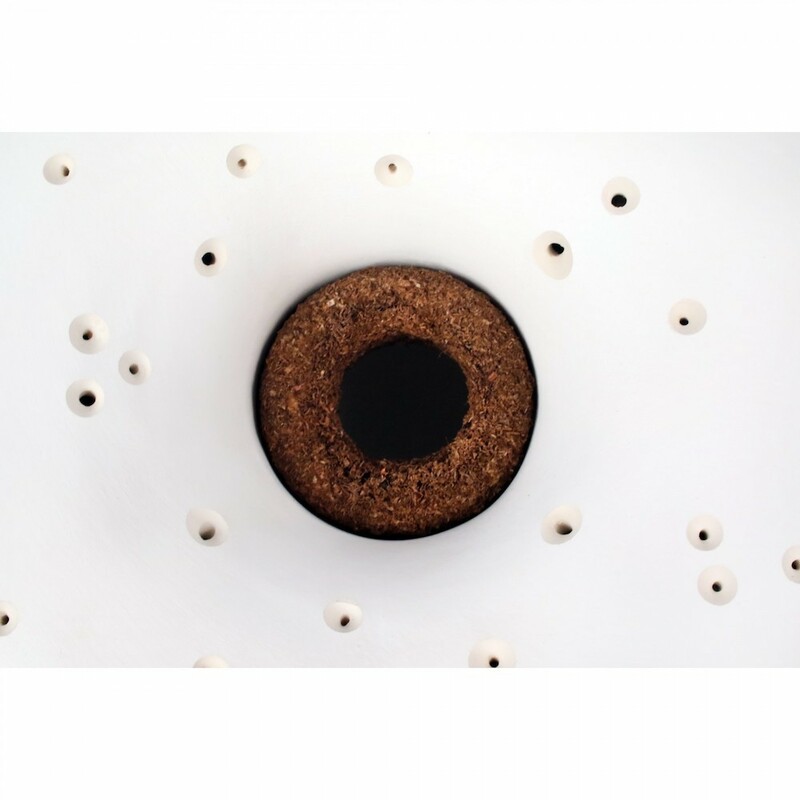 The Spiritree Urn is an innovative product that biodegrades after several months leaving you with a discrete and personal memorial that also gives something special back to the environment. To choose from our current stock list go to Trees In Volume Section or Hedging Trees and let us know at checkout in the "Please add any other comments here" box which species you would like. Choose a tree with special meaning, or reflects their character, or we can choose one for you and maybe fate will have provided the meaning? Please note, if you generalise e.g. write just "Oak", there are several to choose from and one even comes with red leaves which could be very different to most peoples idea of an Oak tree. If you want a specific species, please let us know at checkout. The trees and Spiritree Urn come from separate locations so please expect different delivery dates of up to 10 working days. You will receive 12 x 1-2 year old saplings. We do this for several reasons. 1)	The younger the tree, the higher the failure rate. At this age, it can be as high as 15% under normal conditions (though we very rarely see this) This ensures you have more than one shot at a successful tree. 4)	If for any reason your original tree fails, you have replacements until it is fully established. You obviously need to pot the trees up when you receive them to do this. The Spiritree can accommodate a young sapling with a stem diameter between 6.5mm and 20mm initially. Dig a small hole in the ground - only slightly larger than the tree root ball. Plant the tree within this hole and cover the roots with soil making sure to not to compress the soil around the tree roots. Next place the fertiliser packet that came with the Spiritree next to the tree stem - no need to open it. This packet will break down over time giving your tree sapling the best possible start. Next very carefully pass the bottom section over the stem of the tree - gently feeding the sapling tree stem and branches through the central hole and lower the Spiritree bottom container to the ground. 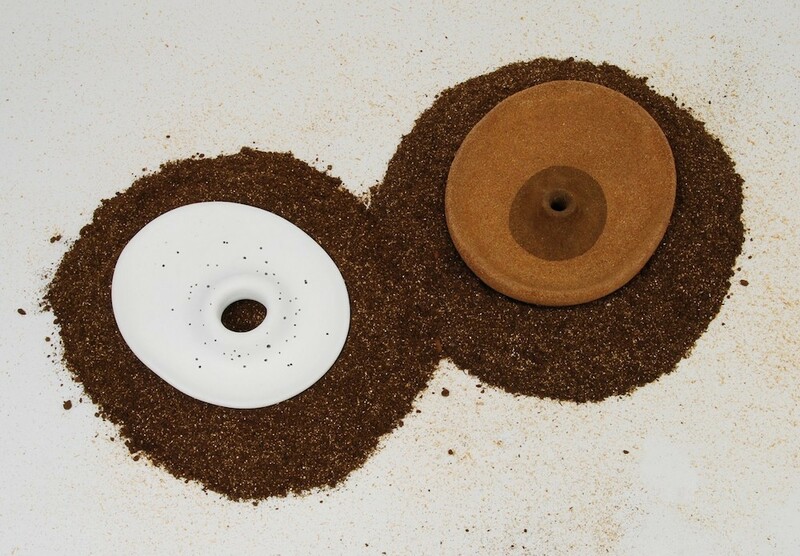 Spread the cremated ashes in a circular pattern around the central stem and the hole of the organic bottom section. Finally place the ceramic shell on top of the organic bottom piece, again carefully feeding through the tree stem and branches through the central hole. Then cover this hole with more soil to strengthen the stem and water well. .
Visit often and watch your Spiritree spring into life.